From Ithaca – Enjoy the clover honey hue and tropical nose. Simultaneously Punchy and soothing with a big body and a finish that boasts pineapple and grapefruit. Flower power is hopped and dry-hopped five different times throughout the brewing and fermentation process. 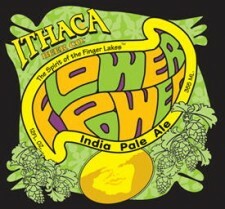 Ithaca Beer Company – Ithaca Flower Power IPA – 12 oz. bottle poured into a pint glass. 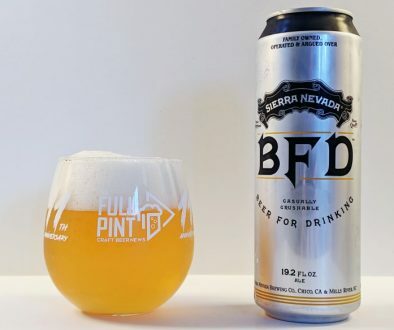 7.5% abv. From Ray in MA! 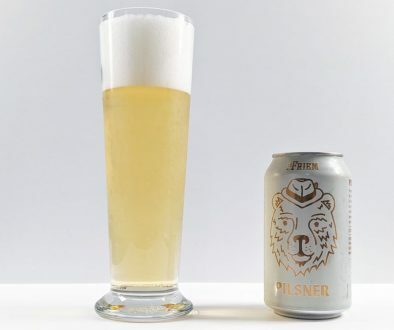 Appearance: Pours a partially cloudy amber orange with a foamy beige cap of head. Leaves a great deal of lacing behind. Aroma: Beautiful dank hop nose, tangerine and grapefruit, peach and mango. Taste: Peach, mango, some citrus tartness held together by semi-sweet malt. My tongue shifts to some earthy yeast with a bitter hop finish. 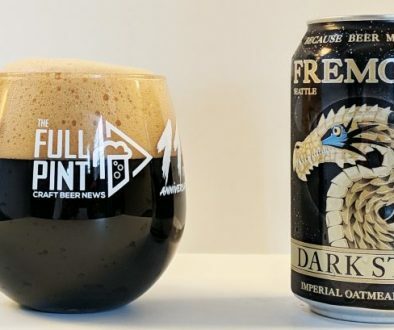 Mouthfeel: Full bodied, slightly sticky with prickly carbonation. Overall: The best East Coast IPA I’ve had, even better than Cigar City’s. Nice happy flowers….recommended for the hopheads out there. Malt is big enough to support the hops and add sweets but not overwhelming. The alcohol is big but well hidden. Not a session brew but for one or two with food…. Great to see you guys reviewing Flower Power. Bring Ithaca Beer Co beers out west, we’re calling for it!